As a follow-up to its Clean Air Act of 1990, the U.S. Environmental Protection Agency (EPA) created the Significant New Alternatives Policy (SNAP), to identify and evaluate substitutes for ozone-depleting substances. Under SNAP, the EPA provides acceptable and unacceptable substitutes for different industrial sectors. For the commercial refrigeration and HVAC industries, the use of certain high-global warming potential (GWP) refrigerants and various hydrofluorocarbons (HFCs) and HFC-containing blends, including R-134a and R-404A, are prohibited. Under SNAP, manufacturers and suppliers have to pursue more natural refrigerants, such as: ethane, isobutane, propane, hydrocarbon blend R1441A and difluoromethane (HFC-32). While more climate friendly, these refrigerants are flammable and/or explosive. This means that the industry must be prepared for new considerations as they incorporate these substances into their products. Facilities will require a Hazardous Area Classification. Hazardous areas are typically classified with either a class/division or a zone system that determines requirements for protection techniques and methods for electrical. While use of these refrigerants results in a lower risk classification, these settings are still hazardous locations and will have requirements related to electrical equipment, lab design, personnel and personal protective equipment to mitigate risk. Reclassification will also require manufacturers to create emergency procedures in case an accident occurs. Manufacturers should also be prepared to document maintenance and repairs to the facility and equipment under hazardous locations requirements. Manufacturers and suppliers will need to address new considerations for shipping and handling, such as using covered or closed containers, as well as bonding and grounding them. Using approved storage and transfer equipment is also critical. Product maintenance instructions and labelling must be updated to account for the use of flammable refrigerants. The EPA's efforts to protect health and safety of the environment and consumers have led to multiple changes in the industry. Requirements to use refrigerants with low GWP and ODP have meant adjustments for many manufacturers. However, understanding what the use of these refrigerants entails and preparing accordingly can ensure products meet not only EPA requirements, but consumer demand for environmentally friendly products. 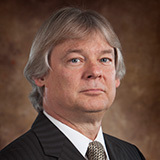 With more than 40 years of experience, Byron Horak's responsibilities include developing and maintaining facilities and staff to stay on the cutting edge of the HVACR performance testing industry. He has participated in eight ASHRAE SPCs, four ASHRAE TCs, 5 ISO WGs, and is Secretariat of IEC SC61D Subcommittee for Appliances for Air Conditioning for Household and Similar Purposes IEC Standard 60335-2-40.